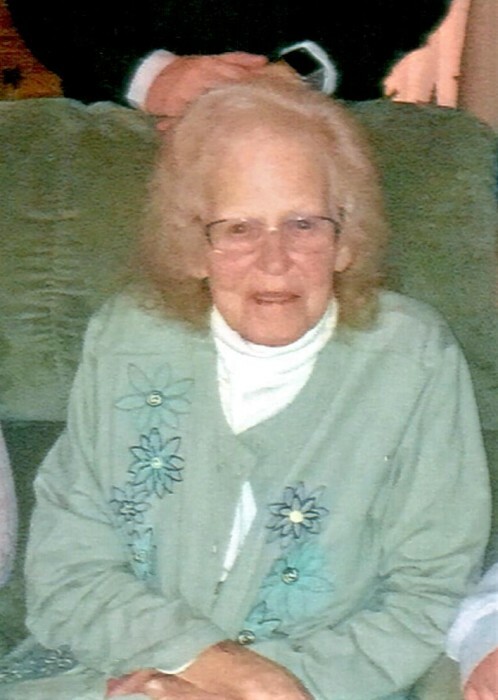 Janet Arlene Smith, 85, of Littlestown, PA died peacefully on Monday, January 21, 2019 at her home surrounded by her loving family. Born May 21, 1933 in Taneytown, MD, she was the daughter of the late Wilbur Z. Fair, Sr.and the late Inez L. (Angell) Fair. She was the wife of the late Robert J. Smith. Janet was employed at Frederick Memorial Hospital for more than 20 years as a Bed Management Coordinator. She previously worked at Cambridge Rubber Company in Taneytown for many years. She enjoyed solving cryptogram puzzles and watching NCIS and football on television. More than anything, Janet enjoyed spending time with her family, especially her five grandchildren – and she particularly loved holiday gatherings. Surviving are daughter, Michele Lowman and husband Richard of Littlestown, PA; son, Joseph Smith and wife Justine of Hanover, PA; sisters, Wilma Liller, Wanda Lawrence and husband “Did”, and Margaret Wetzel, all of Taneytown; brother, Wayne “Reds” Fair and wife Frances of Florida; grandchildren, Robbie Lowman of Littlestown, PA, Kelsey Lowman of Boston, MA, and Breann, Jordan and Nicole Smith, all of Hanover, PA; and many nieces and nephews. She was predeceased by siblings, Lois Shorb, Doris Young, June Bachota, Cecelia Lambert, Wilbur “Whitey” Fair, Jr. and Harold “Booty” Fair, Sr.
A funeral service will be held at 11 a.m. on Friday, January 25, 2019 at MYERS-DURBORAW FUNERAL HOME, 136 E. Baltimore St., Taneytown, MD with Deacon Charles E. Barnhart, Jr. officiating. Burial will be private. The family will receive friends 2-4 and 6-8 p.m. on Thursday, January 24th at the funeral home. In lieu of flowers, memorial contributions in Janet’s name may be made to SpiriTrust Lutheran Home Care and Hospice, 1075 Old Harrisburg Rd., Gettysburg, PA 17325.